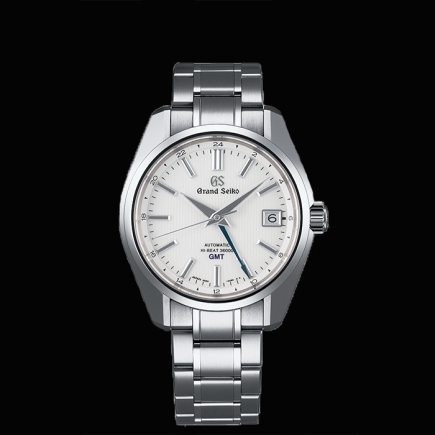 Grand Seiko | 6'000 € Tax inc. Innovations to the precision controlling mainspring, the hairspring, and the escapement mean that the 9S Mechanical is not simply a revival of the 10-beat movement of the past, but an entirely new incarnation of this high-precision movement. 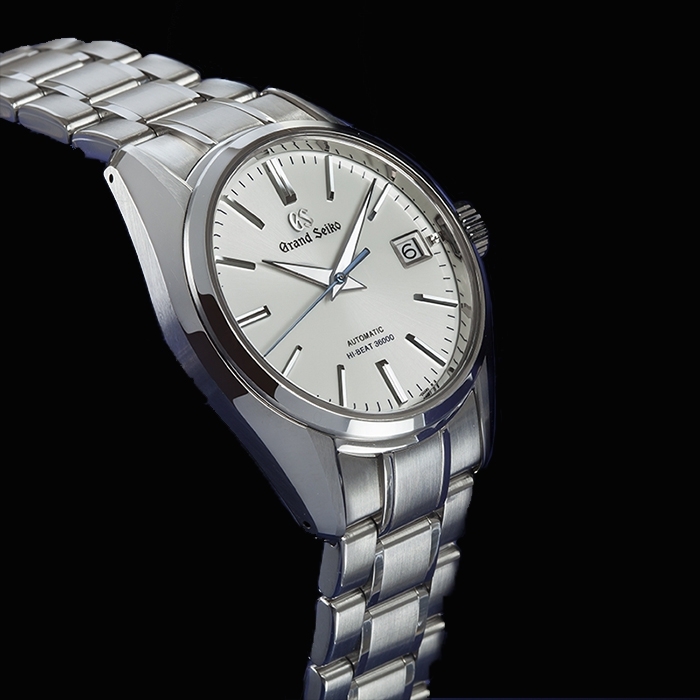 In every detail, it is faithful to the ‘Grand Seiko Style’, the embodiment of the Grand Seiko design philosophy which started with the 44GS. The black dial creates a strong impression with its ‘Mount Iwate pattern’, a delicate and beautiful radial pattern, inspired by the many-ridged contours of the Mt. Iwate, the mountain that is visible through the windows of the Shizuku-Ishi Watch Studio where Grand Seiko mechanical watches are made. The challenge of making a high-beat movement is one that only a few watchmakers choose to accept. With its higher oscillation rate of ten beats per second, greater accuracy is achievable, but this increased precision comes at a price because the faster rotational speed can take its toll on the power reserve and even the longevity of the whole movement. 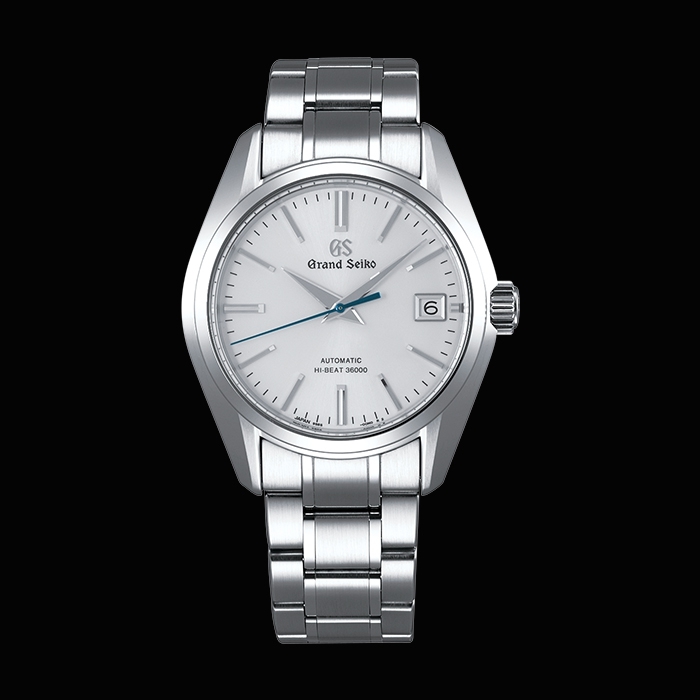 Grand Seiko's 10 beat movement meets these challenges and delivers an accuracy of +5 to –3 seconds a day, a power reserve of 55 hours and the durability for which every Grand Seiko watch is renowned. Caliber 9S85 is the result of many years of development and of advances both in the design and manufacture of components and in the materials themselves. Although the theoretical advantages of the 10 beat movement are well known, to produce a watch that is durable, reliable and precise is extremely difficult. The two main difficulties are driving time and movement durability. A rapidly oscillating balance wheel requires a lot of power from the mainspring. The mainspring must be able to supply the balance wheel with the energy it needs to move back and forth at high speed. The wound mainspring has to be able to deliver a high level of torque to be able to supply enough power to the balance wheel for long enough to ensure a high power reserve. At the same time, the escapement mechanism that transfers the oscillations from the balance wheel through to the gear wheel train has to be as durable as any other mechanical watch. A formidable challenge indeed. Using the experience accumulated over the 50 years of Grand Seiko’s history, a new generation of Spron alloys was developed for the hair spring, which is at the very heart of any watch movement and whose performance determines the precision of the watch over time. After some five years of development, a new alloy, Spron 610 was created. Compared with previous alloys, Spron 610 had around twice the impact resistance, and a magnetic resistance more than three times higher. Precision engineering is the route to greater accuracy in every watch, but most of all in a high beat caliber. Thanks to technologies developed in-house for semiconductor manufacturing, the escape wheel and pallet fork used in Caliber 9S85 are made with a precision of one ten thousandth of a millimeter and therefore deliver greatly enhanced performance. The secret is MEMS. MEMS (Micro Electro Mechanical System) is a technology that allows these critical components to be lighter, smoother and, in the case of the escape wheel of a more intricate design. The new design of the escape wheel featured oil reservoirs at the end of each gear tooth, improving the retention of oil, on which the smooth working of the gear depends. A 10 beat movement must have a mainspring that can ensure a high level of torque to supply the power required for the increased oscillating rate. After six years of development a new alloy, Spron 530, was developed for the mainspring. It delivers about 6% more power than its predecessor and a power reserve of five more hours while maintaining the same degree of corrosion resistance, durability, and magnetic resistance. 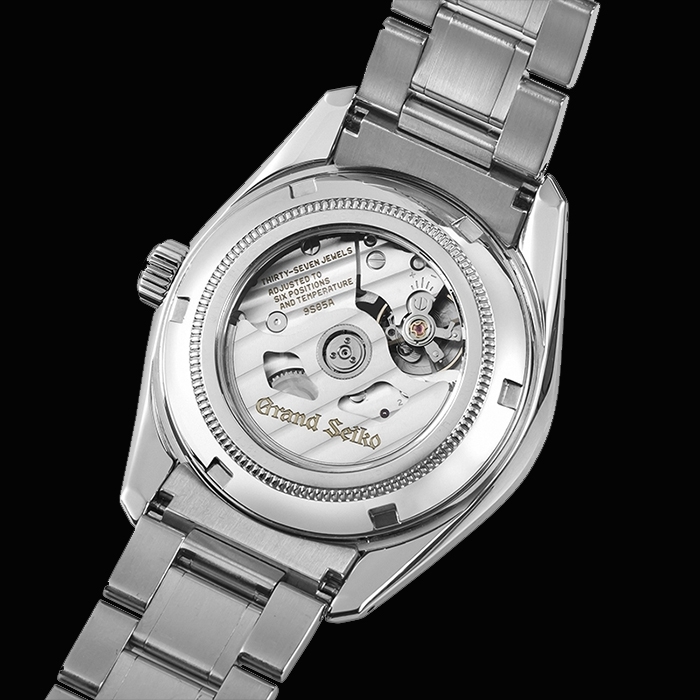 The new mainspring powers the Grand Seiko 10 beat movement for a remarkable 55 hours when fully wound.